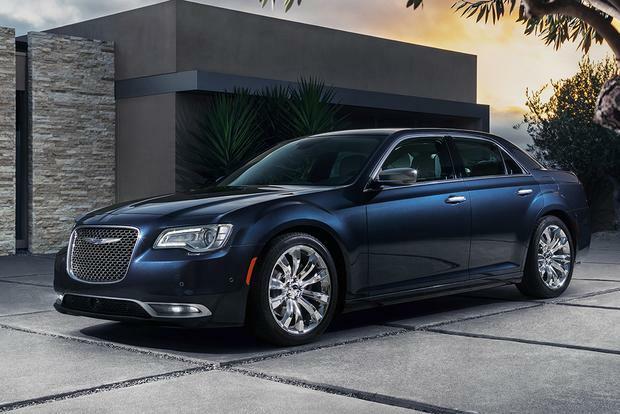 The 2019 Chrysler 300 is an old-school sedan, for better and worse, that provides more character and performance than most. The 2018 Chrysler 300 is reasonably priced and offers lots of space, but it also boasts unmatched style and performance for its segment. Should You Consider Chrysler and Dodge? The product portfolios of these two historic marques have gotten pretty slim in recent years. 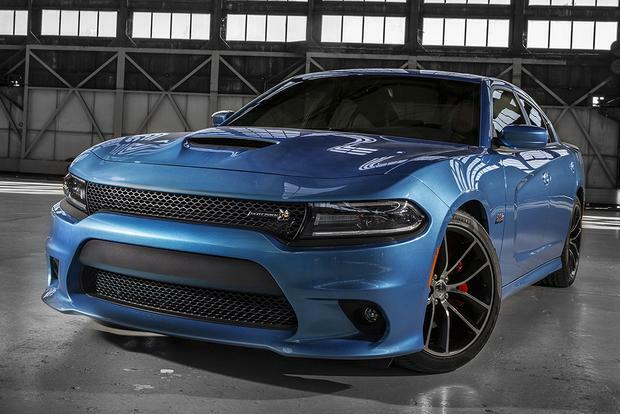 2015 Chrysler 300 vs. 2015 Dodge Charger: What's the Difference? We're covering all the key differences between Chrysler's full-size sedans: the 300 and the Dodge Charger. 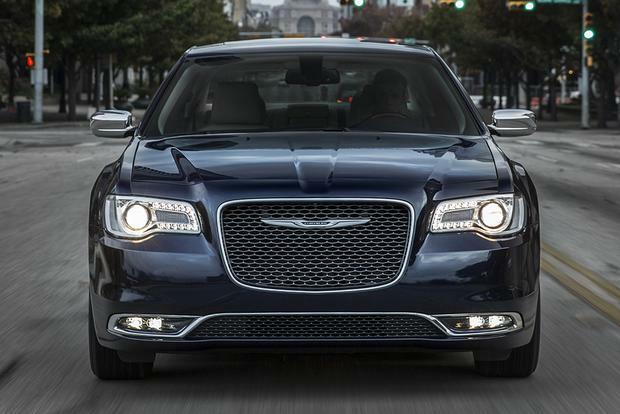 2014 vs. 2015 Chrysler 300: What's the Difference? 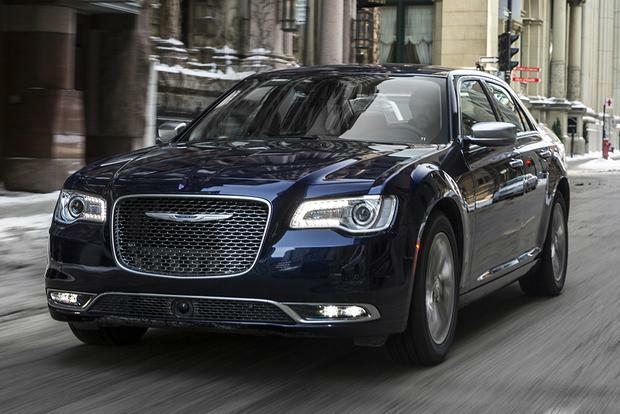 The Chrysler 300 has received a host of updates for 2015, and we're showing you exactly what's changed from last year's model. 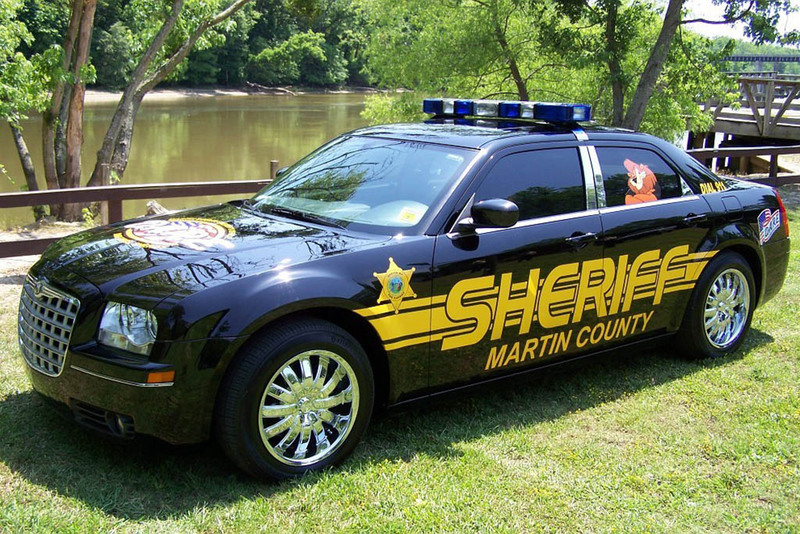 Do You Know Anything About a Chrysler 300 Police Car? I've seen one before, but information is hard to come by. Am I crazy? Ever since Oldsmobile shoved the high-horsepower Rocket V8 under the hood of the 1949 Futuramic 88, the prototypical American sedan has been a large car with rear-wheel drive and lots of power. Chrysler joined the fray in 1951 with its first HEMI V8 and added style to the formula in 1955 with the C300. While Chrysler began tinkering with front-wheel drive in the 1980s, the company returned to the proven formula in 2005 with a reborn 300 that featured a new HEMI V8 and was, somewhat ironically, based on a German platform from Mercedes-Benz. 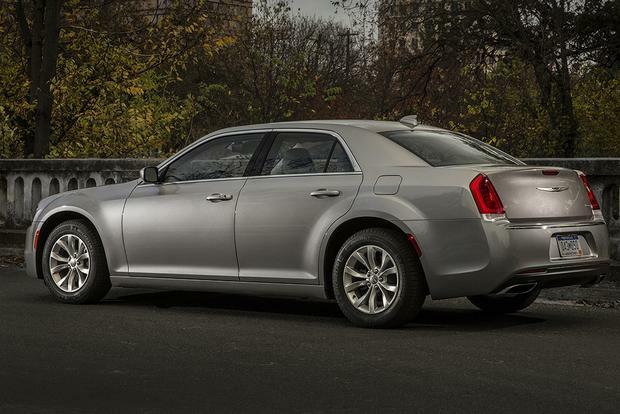 The refreshed 2015 Chrysler 300 carries on that proud tradition. The 2015 changes amount to a midcycle update, not a full-on redesign. The 300 still uses a modified version of the Mercedes-Benz-sourced platform, the engines carry over, the car gets no notable structural changes and exterior updates are only cosmetic. Unfortunately, the 470-hp SRT8 model is gone, and so is the all-wheel-drive system for V8 models. Other changes include a new line-topping 300C Platinum model, a new transmission for the V8 engine and the addition of advanced safety features such as forward-collision warning with emergency braking, lane-departure warning and lane-keep assist. 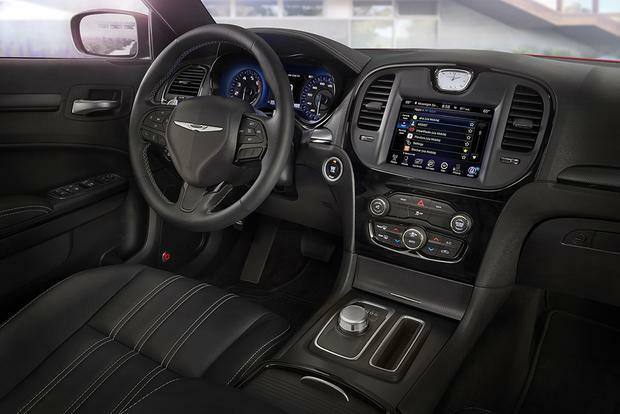 The new interior features a new 7-inch information display in the instrument cluster and a rotary shift knob in place of a T-handle gear shift. The look is very similar to the outgoing model, and that's fine because the 300 has had a high-quality interior since its 2011 redesign. The dash, door panels and armrests are all soft to the touch, and the new Platinum model adds a leather-wrapped instrument hood, wood trim and stylish quilted Nappa leather seats. Any 300 has about as much room in the front seat as any car on the market, making it ideal for big guys but less than supportive during aggressive cornering. The rear seat is big, too, with plenty of room to accommodate three adults. Another strength of the 300 is its Uconnect infotainment system. It features an 8.4-in touchscreen with large icons and voice control. The system provides access to apps on owners' smartphones, voice-to-text capability and the ability to turn the car into a Wi-Fi hot spot. We find Uconnect to be one of the most intuitive infotainment systems on the market. 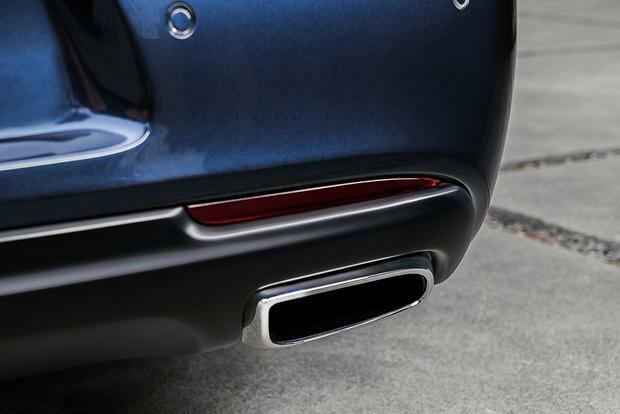 When you hit the road in the Chrysler 300, the first thing you'll notice is its size. It's wide and long, and its high beltline and large rear pillars will make you feel like you're driving a tank. The 300, however, is much more composed than that. It commands the road, with nicely weighted steering and just a bit of lean in turns. With its sport suspension, the S model tightens up responses without harming the 300's smooth ride quality. The combination of a comfortable ride and controlled dynamics makes the 300 one of the best cars for long-distance cruising. The 300 is offered with two capable engines. The 3.6-liter V6 makes 292 hp, except in the S model where it is pushed to 300. The V6 gets the car moving quickly and delivers extra thrust when needed for passing. Going 0-to-60 mph takes about 7 seconds, and engine noises are subdued until you hit full throttle. Then it becomes a little coarse. The V6 balances its power with fine fuel economy, too. It is rated by the Environmental Protection Agency at 19 miles per gallon in the city and 31 mpg on the highway with rear-wheel drive. The available all-wheel-drive system lowers the ratings considerably to 18 mpg city/27 mpg hwy. Nonetheless, if you live in a northern climate, we recommend all-wheel drive. The vast majority of V6 buyers will be happy with their choice, unless they try the even more powerful 5.7-liter V8. The V8's 363 hp provides muscle-car-like thrust, lowering the 0-to-60 mph time to 5.8 seconds, which is 0.2 seconds quicker than last year when it was paired with a 5-speed automatic transmission. The V8 makes a great, throaty sound when pushed, but is otherwise hardly noticed. While Chrysler says the new transmission increases the V8's fuel economy by 6 percent, it has the same 16 mpg city/25 mpg hwy rating as last year. That's a disappointment. 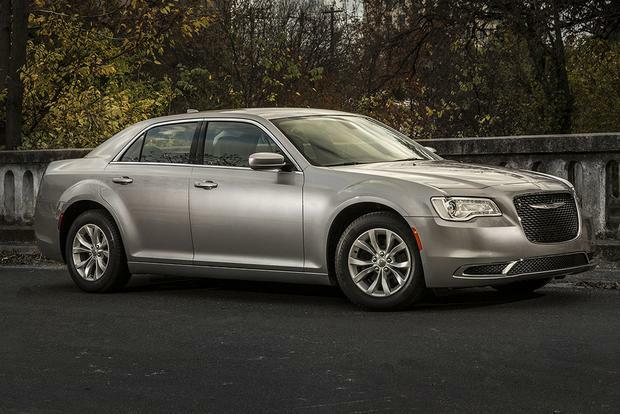 We're also disappointed that Chrysler no longer offers all-wheel-drive with the V8. Pricing for the 2015 Chrysler 300 starts at $31,395, which is the same as last year, and ranges up to $42,395 for a 300C Platinum. 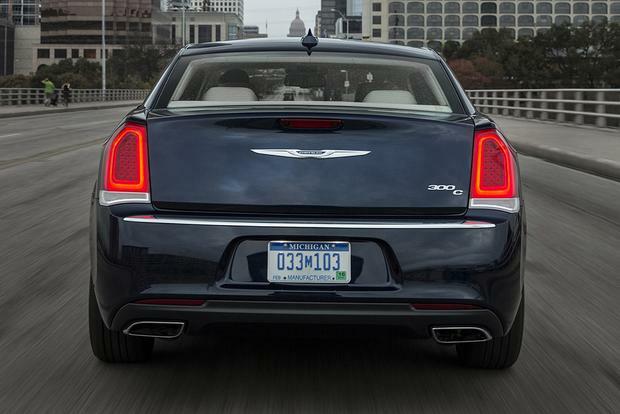 We would opt for the 300S, which costs about $35,000 and offers the most engaging driving experience of the group. No matter what version you choose, the 300 is stylish, roomy, powerful and a pleasure to drive. The American sedan is alive and well.